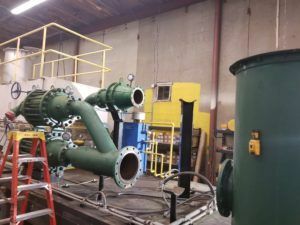 Marine vapor recovery systems are a major focus of the Department of Homeland Security, the Environment Protection Agency, & the US Coast Guard. Envent Corporation offers 30 years of industry-specific experience working with companies to manage vapor problems 365 days a year, guaranteeing 100-percent compliance for your refinery. The Envent Corporation operations team recognized for their safety commitment during 2017 and 2018 by the Torrance Refining Company. Envent Corporation is Best in Class! Envent Corporation’s Gulf Coast Division received the Best in Class Safety Award from the Houston Business Roundtable and HASC!!! Envent’s fabrication team doing a complete turnaround on the EMTOS 4500. 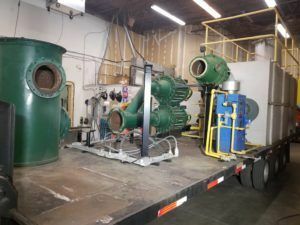 This rebuilt Envent Mobile Thermal Oxidizer will be bigger, stronger and faster than ever before!! !